Med school seldom prepares you for the practical world out there. 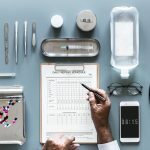 It may do a great job of teaching you how the human body operates so that you can stamp out disease, prevent its occurrence, serve humanity and explain sickness to patience but you will certainly have to do extra to catch up on techniques of staying out of jail while practicing medicine. This is where the medico-legal branch of medicine comes into the picture. Medico-legal practice is simply that; medicine and law combined. It is the branch of medicine that concerns itself with rights and responsibilities of both patients and medical professionals. Some of the primary areas of focus for medico legal specialists include negligence, confidentiality, and an array of topics surrounding medical malpractice, ethics and criminal law. What does a medico-legal specialist do? A medico-legal adviser acts as an interface between the doctor and the legal process. This includes giving advice on matters such as claims, regulatory issues, complaints and criminals investigations. Accordingly, a medico-legal specialist should be an experienced doctor who has gone through intensive medico-legal training to gain a better understanding of the experience of members and can advise them on the legal process. Frankly, the role is varied but basically, medico legal specialists spend their days in consulting rooms offering expert advice to other doctors who technically act as their patients. As a medico-legal specialist, your knowledge of medicine, the general healthcare system, and patients will make or break your career. You will typically need to go through an in-depth process of considering the history, investigation, diagnosis, examination and available remedies of all your cases. Part of your job description will also entail writing a medico-legal report for claims of damages for victims of disease, personal injury, or medical negligence. Can one practice medicine along medico-legal practice? Sure. Most medico-legal experts still supervise trainees and handle several other roles as general practitioners. In fact, their experience in the legal side of medicine gives them a good ground to offer valuable information about areas of risk when practicing medicine. Being a legal advisor also helps medico-legal experts know how patients perceive doctors and how communication with patients and keeping accurate medical records can enhance the medical career to a large extent. Being a medico-legal specialist can present challenges but it can be a very rewarding career. You get to help create a safe and secure environment within the medical profession. That, plus the fat paycheck that comes with it should be enough to take you through any stressful day in the office.